Northeast Flooring Solutions applies self-leveling compounds as part of our concrete floor preparation and installations when necessary. Leveling the floor surface is the final step in preparing your subfloor for a new flooring installation. Our flooring experts are sure to guide you through what other preparation steps are needed previous to self-leveling for the project at hand. When needed removal, grinding, shot blasting and moisture mitigation services are also available as part of our full service floor contracting capabilities. Floor leveling creates the final flat surface on which we install our flooring systems for an even base. It can also be used to pitch a floor toward a drain or patch inconsistencies. 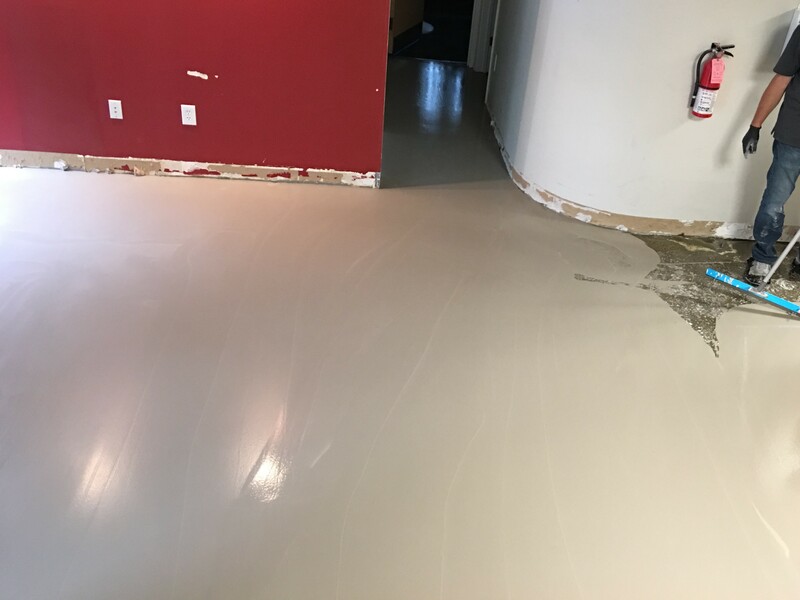 When floor leveling is necessary, we apply CMP 210 or CMP Liquicem brand by CMP Specialty Products, various products from Ardex, or other industry leading product lines as appropriate. Creating a level surface for flooring installation helps prevent future splitting, cracking and chipping. When appropriate it is included as part of our floor preparation or can be contracted independently. Contact us for details.